I’ve written previously about the official regulation of homeopathy by the Food and Drug Administration (FDA). The bottom line is that homeopathy was exempted from the standards of proof for safety and efficacy required of all other medications regulated by the FDA due to the efforts of the senator who first introduced the Food, Drug & Cosmetics Act (FD&C), who happened to have practiced homeopathy. It is legal to sell homeopathic remedies without a prescription for conditions people can reasonably be expected to diagnose and treat themselves. And it is legal to claim safety and efficacy and sell such remedies with a prescription for more serious illnesses. Fortunately, few doctors authorized to write such prescriptions are foolish enough to believe homeopathy is appropriate as treatment for such illnesses. Homeopathic drugs are subject to the same regulatory requirements as other drugs; nothing in the FD&C Act exempts homeopathic drugs from any of the requirements related to adulteration, labeling, misbranding, or approval. We acknowledge that many homeopathic drugs are manufactured and distributed without FDA approval under enforcement policies set out in the Agency’s Compliance Policy Guide entitled, “Conditions Under Which Homeopathic Drugs May be Marketed (CPG 400.400)” (the CPG). As its title suggests, the CPG identifies specific conditions under which homeopathic drugs may ordinarily be marketed; thus, in order to fall under the enforcement policies set forth in the CPG, a homeopathic product must meet the conditions set forth in the CPG. One of those conditions is compliance with Section 503(b) of the FD&C Act. Under the CPG, only homeopathic products intended solely for self-limiting disease conditions amenable to self-diagnosis (of symptoms) and treatment may be marketed OTC. Homeopathic products offered for conditions not amenable to OTC use must be marketed as prescription products. Despite this historical accident, the reality is that the FDA does not endorse the safety and efficacy of homeopathy as homeopaths often claim. Unlike all other drugs and medical devices, FDA approval of homeopathy does not imply any real evidence or scientific testing of safety or efficacy. The FDA says as much on its web site, ““FDA is not aware of scientific evidence to support homeopathy as effective.” With regard to veterinary use of homeopathy, it is technically against the law, but the FDA has bowed to political reality and decided not to enforce this rule. A recent warning letter issued to one of the largest homeopathy manufacturers in the U.S. emphasizes the fact that the FDA does not consider homeopathy as a valid form of therapy for serious disease despite its formal status as legal under the Food and Drug Act. It reminds the company that marketing homeopathic remedies without prescription for serious health problems is illegal. Your firm markets numerous drugs that are misbranded in violation of sections 503 and 301 of the Federal Food, Drug, and Cosmetic Act…The products [mentioned in the letter] are prescription drugs within the meaning of section 503(b)(1) of the FD&C Act because they are intended to treat diseases that require diagnosis and treatment by a physician or are intended to provide treatment for symptoms usually caused by an underlying disease process that requires diagnosis and treatment by a physician. Because they may be dispensed only by prescription of a licensed practitioner, these products are misbranded… If an indication requires the supervision of a practitioner licensed to prescribe drugs, adequate directions for use cannot be written for an OTC drug product for that indication. In this letter, the FDA also addresses the issue of testimonials, that meaningless yet ubiquitous and persuasive form of marketing preferred by purveyors of unproven or bogus alternative therapies. 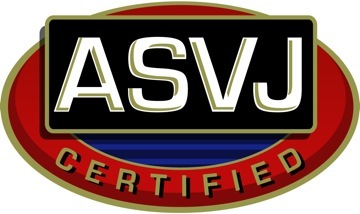 The agency recognizes that such testimonials are presented with the intention of suggesting that the products are safe, effective, and appropriate for the conditions customers claim to use them for, and that this creates a false, and in this case illegal, impression even if the words used are not those of the company itself. So the next time you hear a homeopathy advertise their magic water as “FDA Approved,” remember this does not in any way suggest that homeopathy has been scientifically proven to work or that the FDA believes it to be an effective therapy for any condition. Claiming homeopathic remedies are FDA approved is standard for veterinary homeopaths’ lectures. Thank you for posting this to set the record straight. I think most, if not all, veterinary homeopathc prescribing is done on the basis of signs, not symptoms. Given that there is no way that an animal can report the symptoms it is experiencing, surely this implies that no homeopathic product can have a veterinary application? On September 26, 2013, Hyland’s received a warning letter from the FDA that contained concerns regarding certain indications on product labels that they deem prescription indications rather than OTC. Hyland’s has always marketed its products to address self-diagnosable conditions and symptoms. This is a requirement to market over-the-counter medicines. Hyland’s understands the FDA’s perspective on drug use indications and can resolve those concerns while continuing to provide these same great products to consumers. Hyland’s continues to conduct a careful review of all of our product labels to proactively address any other potential labeling issues. So will you be removing all indications from your homeopathy products and making the other changes the FDA require? As I understand it, this applies to the sale of OTC homeopathic products. 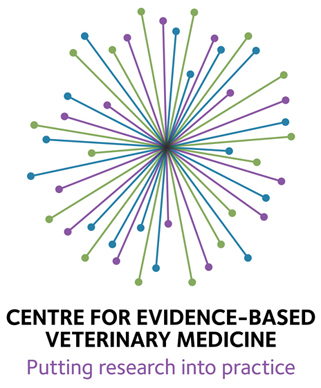 Since most veterinary use of homeopathy is, unfortunately, at the direction of veterinarians who believe in it, it is more akin to off-label use of prescription medications. It is in a gray area which is probably techniclly illegal since the FD&C only applies to use of drugs in humans but which is tolerated by the FDA both because veterinary medicine gets a lot of leeway (companies have little financial incentive to seek official labels for veterinary use, so vets would have few drugs to use if the rules were strictly applied) and because there is insufficient political will to stand up to homeopathy in general. The issue seems to be the degree to which the FDA will pursue enforcement of this letter. I have seen other enforcement letters issued and then followed up to find the same behavior continuing and the FDA unresponsive to my requests for further enforcement action. The vet down the street from me puts his 24 hour emergency hospital and homeopathic promotions on the same web page. The only 24 hour homeopathic vet hospital I know of. I believe I’ve heard of that guy: Dr. There’s-a-sucker-born-every-minute. Fluiidtherapy , there is a video out of a human homeopathic emergency room. Maybe your thinking of that one. To those of you who scornfully dismiss homeopathy efficacy as a weapon in the fight against disease: clearly you also would have thought the world was flat, the atom was the smallest particle in the world and a black man could never be voted in as President. Homeopathy has been around for more than a hundred years and is a respected form of treatment in some pretty healthy countries……..like England. 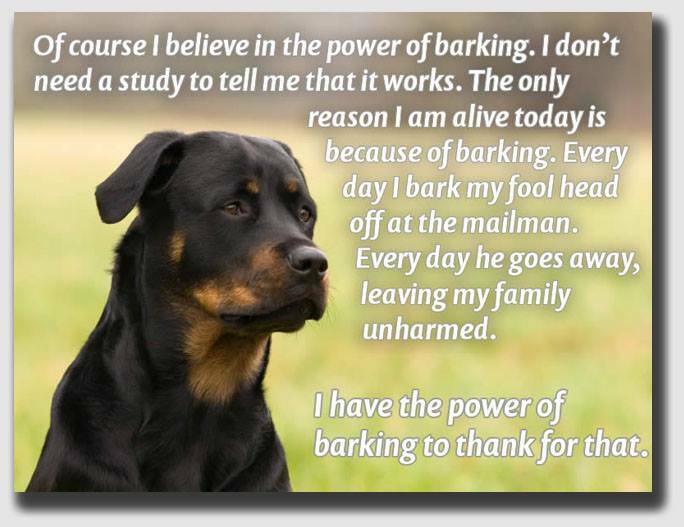 Yes, it is difficult to treat animals as we have to be interpreter of the sypmtoms we see…….the beauty of treating animals, however, is that there is no placebo effect…..we can’t “talk the dog” into believing he has been cured. This indicates that when a cure does take place, and I personally have witnessed many over the years, it is an actual cure. It is easy and lazy to be a sceptic. Good luck with your FDA “approved” drugs and their inevitable recalls due to unforseen side effects. What nonsense. Rejecting an old idea that has failed to demonstrate its truth in 150 years is like sticking to the belief the world is flat?! No, you are the one clinging to a ridiculous and outdated belief here. So has astrology and devil worship. Does that mean those things are true too? Clearly, you no little of the well-demonstrated caregiver placebo effect. Are you kidding? Looking in detail at all the evidence and thoughtfully considering it is easier than just believing what you are told or what you want to believe? Faith is harder than skepticism? Ridiculous. Good luck curing disease with magic water. There is so much wrong with your post, and with your logic, where to begin? Oh wait, I don’t have to. You made the claims, you prove them. But, I’m willing to help. Homeopathy has never been shown to work beyond placebo, for human or animal, for any disease, ever, in over 200 years. Ever. The beauty of treating animals with proven and effective real medicine is that they very often survive, happy and healthy at that, and oftentimes, are actually cured. Meanwhile, after over 200 years, homeopathy remains a useless, culture-based, idiotic, wishful thinking ruse to prey on the very vulnerable, desperate and uneducated. Facts speak for themselves. The many countries that use principally Homeopathic medicine are the educated western world countries, with England taking the lead. The UN verifies that their research shows conclusively that these countries enjoy far greater public health and longevity, with seniors enjoying a very high quality and activity in life. These countries are ranked by the UN in the single digits, or teens. These same UN studies show that the countries relying most on drugs, surgery, and radiation therapies are ranked in the thirties, forties, and even higher in public health, longevity and the quality of life of seniors, along with third world poverty stricken countries. The US even ranked below Cuba recently in the UN comparison studies! History of Homeopathy and Western Medicine in this country is quite entertaining. Dr. Lorrane Day, a Oncologist in California made a video and wrote a book “You Don’t Have to Be Afraid of Cancer Anymore” unmasking why western medicine has a legal stranglehold on this country. A century ago, homeopathy was THE medicine in this country people preferred because it had such a high rate of success in treating simple to serious diseases. Western medicine had a reputation for killing or maiming its patients, like what they did to our first President, Washington. Treating a simple respiratory infection, they bled him all night, and then, in the morning, the poor man, barely alive, they killed with arsenic! When drugs came on the scene, the people were terrified even more of the western doctors, but the elite of the day, Carnegie, Rockefeller, and others, saw medicine as a business venture and backed the drug companies, instituted drug therapy only in the training of doctors in the schools of medicine, and bought the lawmakers loyalty to pass laws making only western medicine legal in this country, and almost succeeded in outlawing homeopathy, herbal medicine and supplements. Did you know that the only four-letter word you can be arrested and imprisoned for saying is CURE? It is illegal to claim that anything but a drug cures, even orange juice cant be cited as a cure for a cold even though Dr. Linus Pauling who received 5 Nobel Peace Prizes, one for discovering DNA, and the other four for proving that Vitamin C cures heart disease, diabetes, and numerous othe serious diseases! Yes, this is a long time medicine war for the huge profits in the public health! You see it in the news every day. Just today Donald Trump voiced his opinion that vacinations are a scam that are behind the scourge of autism in this country! Of course, he is just speaking out about what he has learned from scientific research now very conclusive. I own this book and video, it is about 20 years old when Dr. Day cured her breast cancer with natural medicines instead of her long advocated drug, surgery, radiation treatments that she saw only maimed, tortured and shortened the life of her patients. In the video, she reads from medical and historical books to prove what she discovered in her own research. Find it, and get the truth about western medicine, before the AMA has a book-burning. So much nonsense and historical revisionism. Homeopathy is declining rapidly in the UK, including the closure of all but one of the homeopathic hospitals under the NHS. It’s use is an anachronism supported largely by the patronage of the royal family, and it is an embarrasment to the system. And there is absolutely no evidence that use of homepathy promotes health. You cite no evidence for your claims that countries in which homeopathy is more popular than in the US have better health status, but even if that is true, it does not suggets hoemopathy is the caus.e Most of those coutnries also have socialized medicine and greater access to cientific healthcare for the poor that we do, which is a far more plausible explanation for any such difference. You forget that when homeopathy was more widely sued int he US< life expectancy, infant mortality, and most other indicators of population health were far worse than they are now. The rest is all just anecdotes from the faithful, worth nothing as evidence. If you believe that Donald Trump has anything useful to say about healthcare or that vaccines cause autism, you are so deeply deluded that reallity and fact can have no impact on your faith. Multiple links trigger the spam filters. Nothing I can do about that. You can always cite published research reports in whatever format you choose so long as you don’t include live urls. I can’t imagine how you could think, however, that you are likely to identify any evidence I haven’t already seen given the extensive evaluations of the evidence concerning homeopathy already published on this site, but go for it. Eli, what other events at Hylands did you see or experience when you worked there? What’s really in their pills? A letter from a dieing women from bladder and kidney failure came across my desk with her question whether the prescribed medicine had caused her fatal condition. The response letter written by one of the researchers plainly stated that there was no connection between the drug and her diseased and failed organs. However, the doctor commented to me that although the drug was known to them to have this destructive side effect to the bladder and kidneys, he didn’t want to risk a lawsuit! Another member of the team quipped to me that what they know about the dangers of aspirin now would not allow it to be an OVC drug but a prescription only drug if it were released today! Yet, the pharmaceutical companies and their drug pushers, continue to encourage everyone to pop them like daily candy! These are just a few examples I personally experienced and caused me to walk away from employment there even though I was offered a nice promotion. I did not tell them why I was declining, just moved on, thankful for the education on drugs. I cited many facts in my first comment. Close associate and friend of Albert Einstein, and Oppenheimer, Dr. Linus Pauling was NOT a holistic doctor, but he proved and won world recognition for his research/ evidence on the efficacy of natural supplements to cure disease being awarded five Nobel Peace Prizes, three on Vitamin C. I personally use one of his most powerful formulas for heart disease and diabetes with great success and healing, as have thousands of others. Have you heard of a colonoscopy? Well, the inventor of that proceedure and the subsequent Shinya method to treat colon cancer/ tumors is among the eleven most respected and top ranked doctors in the world, the famous, oncologist Dr. Hiromi Shinya, practicing in Tokyo, Japan six months of the year and in Bethsaida Maryland the rest of the year. He uses his Shinya method and invention to remove and cauterize the tumor, but then he alkalizes the colon, and puts the patient on a holistic diet, curing the cancer that does not just go in remission, but the colon returns to the health of a young healthy person. I’ve seen the before and after surgery videos of this on many of his patients, some very elderly. In his books on cancer he states that drugs and radiation cause cancer and he does not use them. I have his book. Check it out. Hard to know where to start. To begin with, anecdotes about bad things done by people in the pharmaceutical industry, even if true, have nothing to do with whether or not homeopathy works or anything else. I could provide anecdotes of people in industry recognizing and preventing harms from drugs, or of all the millions of lives saved and suffering relieved by modern medicines, but that wouldn’t change anybody’s mind, and frankly it wouldn’t have anything to do with the subject of this thread either. The pharmaceutical industry could be composed entirely of angels or demons, and that wouldn’t tell us f homeopathy or drugs are safe or effective. These anecdotes are just innuendo intended to smear modern medicine by implication without actually saying anything of substance. It’s the sort of thing politicians do in campaigns. As for Linus Pauling, you are either lying or deluded, because what you say is obviously untrue. He was awarded 2 Nobel prizes, not 5. One was for chemistry and one was a peace prize having nothing to do with science. Not only was he not awarded three Nobel prizes for his theories on Vitamin C, his theories on this subject have been conclusively proven false. The fact that such information is easily found suggests you are either lying to make your arguments sound stronger than they are or you simply don’t care at all about what’s true and just want to believe whatever you like. The claims about Dr. Shinya are equally untrue as his theories about alkaline water and diet are not accepted by the medical community and even he admits there is yet no scientific research evidence proving them. You obviously feel free to make stuff up in trying to make your case, and you don’t make much effort to check your facts. All I can say is that I do not believe in homeopathy. I took Hylands for menstrual cramps, with a smirk. My mom gave them to me. I can’t tell you how, because I don’t believe in that “water energy” or whatever it is, but these pills worked. I used to need 4-5 advil to do the job, because my cramps are bad and will still be bad if I don’t take Hylands, but when I take it, it works. So there you have it: no placebo effect because I 100% didn’t think it would work, yet my pain is improved when I dissolve 3 under my tongue. Hyland’s homeopathic works!!! No matter what everyone else says, facts always speak louder to me. I used their pills to cure tooth decay, fix diarrhea, motion sickness, leg cramping, … for our whole family. All worked and immediately! Soon I stock up many different kinds and gave them to friends. Worked for them too. Nothing is more powerful than my own experience. Dr. Mercola is one of the most enduring and successful, personally and financially, of the anti-science, anti-medicine gurus. His web site and supplement business, his books, and his appearance on Dr. Oz, InfoWars, and even plenty of mainstream media programs create quite a public appearance of respected expertise. In reality, he is a purveyor of fear and pseudoscience, always attacking science-based medicine and promoting quackery. He is vehemently anti-vaccine, warns against fluoridation and the use of amalgam dental fillings, and promotes a variety of other myths and misconceptions about health. There is also almost no form of alternative nonsense he has not endorsed, from homeopathy to mysterious “energy therapies” such as EFT to “grounding” or “earthing,” the idea that good health requires regular physical contact with the ground. And, of course, he sells not only his bogus ideas but lots of unproven supplements. Dr. Mercola has been warned and fined by his state medical board, the FDA, and the FTC multiple times for illegal medical claims and fraudulent marketing. His prominence and financial success do not, alas, indicate that his advice is sound or scientific, and the truth is quite the opposite. He is also the host for Dr. Karen Becker’s peddling of veterinary pseudoscience.